A periodic oral examination is what you might ordinarily think of as your regular dental check-up. At dhealth Dentistry, a periodic oral examination is a recommended part of our long term dental care solution. 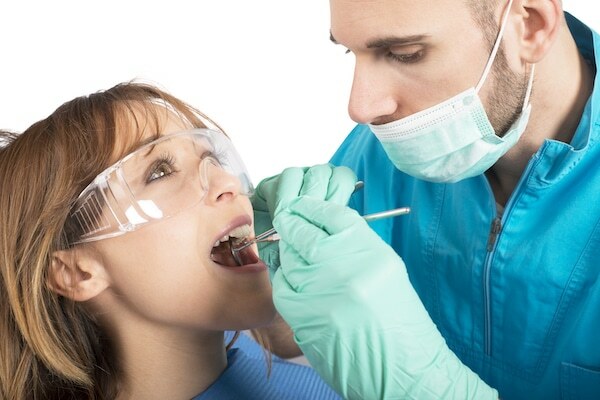 The standard recommendation is that a periodic oral examination is scheduled every 6 months. Now, whilst periodic oral examinations are vital to the maintenance of your greater bodily health, their primary function remains that of oral care and maintenance. So, what exactly should you expect from a periodic oral examination? X-rays, if necessary, can be taken according to requirement. A sequence of full mouth x-rays will reveal any irregularities in the structures that support your teeth, as well as in the teeth themselves. Intra-oral examination of gums, teeth, tongue, throat, cheeks and lips. Scale and polish. An important treatment to remove built-up plaque deposits that have the potential to cause gum disease. Consultation and advice on your oral health habits and practices. More than just valuable, a periodic oral examination is a necessary feature of your long term oral care. We strongly suggest a bi-yearly schedule for these appointments, even for patients who have no immediate and explicit need for treatment. Regular dental appointments are part of your long term requirements for continued health and wellbeing.